Memory loss, dementia and diseases like Alzheimer’s are a worry for many older adults. And who can blame them? The idea of losing cognitive function is scary, and it’s no surprise that preserving brain health is a top priority for most older adults because of the steady flow of Alzheimer’s drugs being advertised and the reports of studies and trials. Regardless of the number of studies and news reports, it’s important to keep in mind that like any other condition or disease, memory loss and Alzheimer’s disease bring with them their own set of myths. Here are five things you need to know about. Many things change as we age. But our cognitive function isn’t one of them. It’s normal for older adults to have an occasional memory lapse—for instance, forgetting the name of someone you’ve met recently. But with memory loss in Alzheimer’s disease, a person can forget the name of a longtime friend or family member or the route to his or her home where they have lived for years. Though concerns about the safety of artificial sweeteners—like aspartame—have come into question, no studies have shown that it contributes to the development of Alzheimer’s disease or memory loss. The same goes for exposure to aluminum. While you might be able to master the skills needed to complete a computer game or puzzle, it’s unlikely that doing these things will help improve your cognitive function. 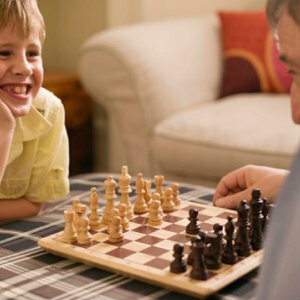 Dr. Constantine Lyketsos, director of the Memory and Alzheimer’s Treatment Center at Johns Hopkins School of Medicine, explains that while puzzles are a form of memory training, they are not a catch-all solution to cognitive health. “... A puzzle will only strengthen the type of memory it uses. If you do crossword puzzles, you’ll get better at doing crosswords, he says. If you read mystery stories, you’ll get better at solving mysteries. But these won’t necessarily help you remember directions or people’s names better,” he said. With the proper care and safety precautions in place, dementia or Alzheimer’s patients can live full and meaningful lives. Genetics does play a role in the development of Alzheimer’s. However, that doesn’t mean you’re destined to have either affliction because a parent or relative did. What does play a role is age. Your risk for developing Alzheimer’s doubles every five years after age 65. Similarly, if no one in your family has developed either condition, you could still be at risk. Making healthy choices and being aware of medication side effects or the effects of medical conditions can help you maintain the health of your brain. If you have any concerns or questions about your cognitive health, speak with your physician.